Meet Tammy, a physiotherapist with OrthoCanada for the past 10 years. Over the past decade she has helped hundreds of clinicians choose good quality equipment that would best meet their needs. Tammy has also tested many different brands of treatment tables that come from different parts of the world. Whether you are opening a new clinic or simply replacing an existing physiotherapy table, it’s the one piece of equipment you will use with every patient that walks through your clinic door. 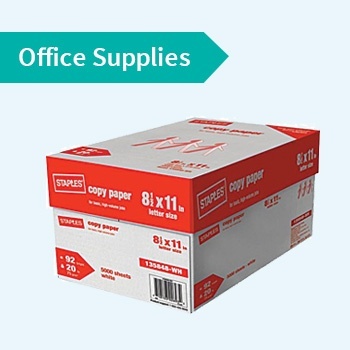 It’s best to invest in one that is reliable, well made and will last many years. "On the one hand, you want a bed that patients feel 100% safe and comfortable on. And on the other hand, you need a bed that can adapt to suit your treatment needs so you can work in an ergonomic manner that protects your body over the long term." 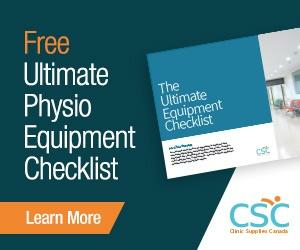 Today we are going to share Tammy’s reviews of CSC's seven best selling physiotherapy table and equipment, including which type of practice these tables are most suited to and some pros, cons, and benefits that may help you make a better decision. A one hand adjustable head rest: Manual therapists find this feature ‘handy’ as they can cradle the patient’s head with one hand while easily adjusting the head section with the other. A backrest with a hydraulic cylinder that adjusts smoothly, quietly and almost effortlessly to sit patients up during treatment. A peripheral footswitch or height adjustment bar system. This is a useful and convenient feature, especially when the treatment table height is changed often during a treatment. Tammy has sold various brands of tables, all with different types of bar system. In her opinion, the motionless one by Seers Medical is by far the best design she has seen and has been trouble free for several years. No need to push the bar up or down or toss it from side to side to engage the motor. The amount of lateral shift: This is a consideration in clinics with smaller treatment rooms. Some tables have a lateral shift of approximately 12” from the lowest to the highest height. The Seers medical tables have a lateral shift of approximately 4”. Height range: Having a table that can go quite low was something that was important to Tammy. As a physiotherapist, Tammy performed thoracic PIVM’s with patients sitting on the treatment table and needed a table that went low enough that she could have one foot on the floor and her other knee on the table. 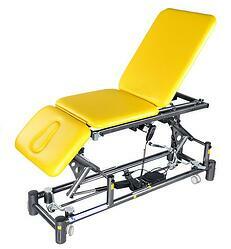 The Seers Medical table is perfect for this as it has a low height range of 18”. This feature is also nice for wheelchair transfers. A table that sits on its frame/retractable wheel design: This is a sturdier design, which manual therapists appreciate. This physiotherapy table design is also easy to move, if necessary. The Martindale rating: This is a rating that not many clinicians know about and it’s very important. The Martindale rating is an upholstery abrasion (the number of rubs) test for durability. The higher the Martindale rating, the longer lasting the upholstery fabric will be. Most vinyl upholstery are rated at 50,000 rubs. Seers Medical tables have a rating of 100,000 rubs. 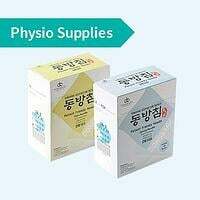 If well taken care of with the right cleaner, this brand of physiotherapy treatment table will last many years. The two brands of tables that Tammy highly suggests you consider when purchasing a treatment table are Seers Medical Treatment Tables and Cardon Rehab Treatment Tables. 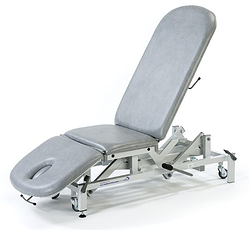 Seers Medical is a manufacturer of treatment and medical tables located in the UK. They are an international manufacturer that supplies tables to over 80 different countries in the world and the Seers team has combined experience of 150 years in building and designing tables. Their quality of manufacturing and attention to detail is reflected by the superior warranty offered by Seers of lifetime on the frame, 5 years on the actuator, 5 years on parts and upholstery (warranty against manufacturing defects). 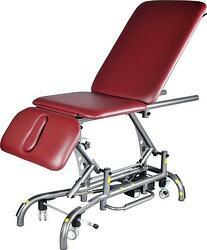 The following models are Tammy's favourite physical therapy tables manufactured by Seers Medical. 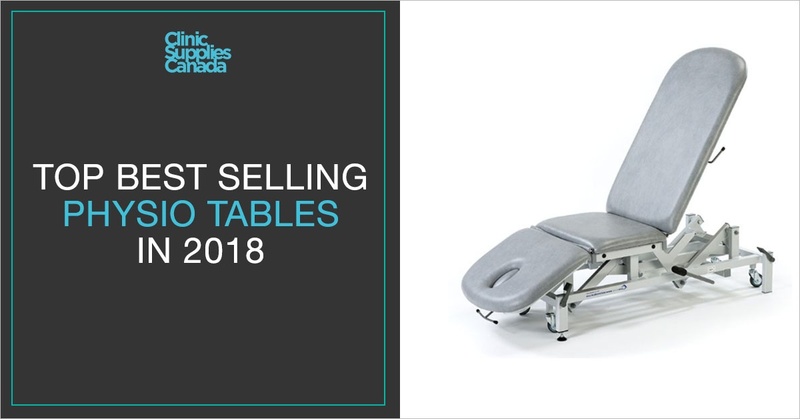 These are the best selling physiotherapy tables by far in Canada. These three-section table models have all the features noted above and are engineered for manual therapists. The V-330 table comes with a standard foot pedal for height adjustment, whereas the V-335 table has a peripheral footswitch. The length of the head section on these 2 models is 15” and drops 90 degrees effortlessly and quietly with one hand, which is ideal for McKenzie treatment techniques. 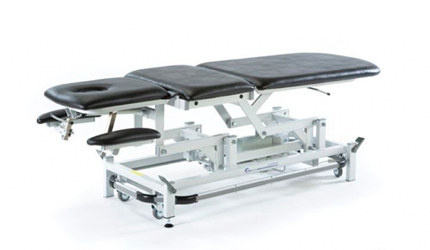 These three- section treatment table models have all the features noted above and are engineered for manual therapists as well. The V-350 table comes with a standard foot pedal for height adjustment whereas the V-355 table has a peripheral footswitch. The head section on these two models is 20.5” long and lowers 25 and raises 40 degrees effortlessly and quietly with one hand. Due to the longer head section, the articulation may sit over the patient’s upper thoracic area. Personally, Tammy prefers the shorter 15” length head section on the V-330 and V-335 tables since the articulation of the head section lines up with the patient’s neck. This three-section physiotherapy table model has most of the features noted above but is an entry-level table and engineered for light use. 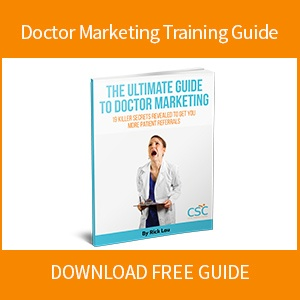 It is not recommended for therapists that do a lot of manual therapy or heavy manual therapy. The table has individual locking castors instead of a retractable wheel design and the frame has a softer feel to it (not as rugged). This is still a very nice quality and durable table when used in the right setting. These five-section table models also have all the features noted above and are engineered for manual therapists. The armrest can be quite useful. The V-500 table has the standard foot pedal for height adjustment whereas V-505 table has the peripheral footswitch. The head section on these two models is 20.5” long and drops 25 and raises 40 degrees effortlessly and quietly with one hand. There are no knobs to loosen or tighten when adjusting the height of the armrests. Simply tilt the armrest slightly towards the center of the table and slide it up or down the shaft. This easy adjustment mechanism has no parts that will wear with time. 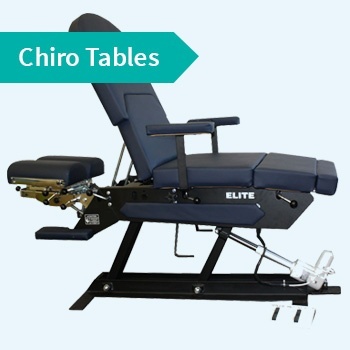 Want a Free $100 (no restrictions) on your next physiotherapy table? Cardon Rehab is a Canadian manufacturer of treatment tables known for their innovation and for providing therapists with high quality, ergonomically designed treatment tables. The seamless high grade tubular steel used to make the frames and their quality of manufacturing and testing is also reflected by an excellent warranty of 15 years on the frame, five years on the actuator and one year on the upholstery. 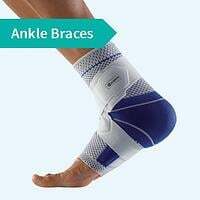 The following models are manufactured by Cardon Rehab. 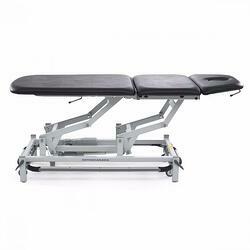 The CTT is the best selling Cardon physiotherapy table model by far. Designed for manual therapists, this table now offers an optional center section with collapsible sides that allows for easier and closer access to the patients’ shoulders and thoracic spine. Cardon’s unique Soft Touch Footswitch technology requires minimal pressure from the therapist’s foot to engage the motor, raising and lowering the table with ease. The Cardon MPT table stands for “Manual Physical Therapy” and with good reason. This physical therapy table incorporates all essential features of an excellent manual therapy table and offers optional features that no other table in the industry offers. The optional horizontal sliding head section easily moves to the right or left to allow closer access to the patient’s neck and shoulders. The optional adjustable centre section facilitates a variety of techniques such as lumbar PIVM’s and MacKenzie treatment techniques. 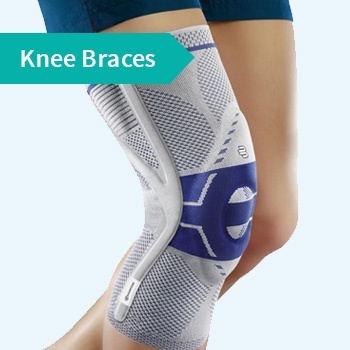 The optional shoulder and pelvic stabilization bolsters are helpful for glides and stretching techniques. For those therapists that have a higher budget for a treatment table, the MPT model, with its optional features, is Tammy's top choice for manual therapists. All tables mentioned in this article are excellent quality with a level of manufacturing that is supported by the best warranties in the industry. For manual therapists that appreciate quality and want a durable table that will last for many years, Tammy recommends the Seers Medical V-330 & V-335 models or the Cardon CTT table. Price for these tables ranges from $2169 to $2650. 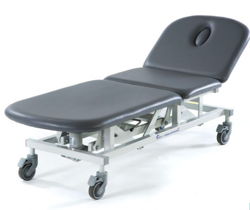 For those manual therapists with a higher budget, she recommends the Cardon MPT table . Wondering why the upholstery on your physiotherapy treatment table is cracking and tearing? This can be happening for a number of reasons. Poor quality upholstery fabric: Fabric with a low Martindale rating (abrasion or ‘rub’ test) will not be as durable as one with a high rating. The industry standard is 50,000 ‘rubs’. Manufacturers of inexpensive tables may use upholstery fabric with a low Martindale rating to cut costs. Heat: Hot packs will cause upholstery to dry out and crack over time. It’s best to avoid placing hot packs directly on the table surface - make sure that you have a good barrier/thickness of towels between the hot pack and the table to protect it as much as possible. Cleaning agent: Avoid using cleaners that are for hard surfaces only, like Caviwipes. Table upholstery is porous and, with time, a harsh cleaner can cause it to dry out and crack. 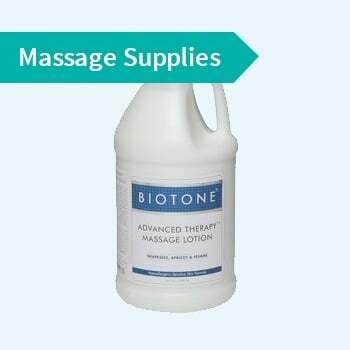 Cleaners that can be safely used on hard and porous surfaces are Certainty Wipes and Biotext.